The new 911 arrives at the family homestead of the Porsches and Piëchs: the Schüttgut estate in the Austrian town of Zell am See. There, the latest generation of the 911 meets its forebear, a 911 of 1964, while Dr. Wolfgang Porsche explains what gives Porsche its legendary quality. “The future has many names: For the weak, it means the unattainable. For the fearful, it means the unknown. For the courageous, it means opportunity.” These words by the French writer Victor Hugo are often cited. But they have seldom been more relevant than they are today, as we present a new generation of the Porsche 911 and discuss what mobility will be like in the future. For decades now, mobility has revolved around the car—as a means of transport, status symbol, and fascinating source of pleasure in motion. But the traditional ways to get from place to place that we see and use every day have reached a turning point. We live in an age of multiple means of mobility. Rapid developments in modern information and communications technology have not only enabled us to be available throughout the world and around the clock; they also allow us to be in multiple places at once. If video conferences are stepping in for business trips, chats are taking the place of a night out with friends, home offices are replacing work stations at companies, and laptops are standing in for weekend shopping trips, then we’re more than justified in asking whether virtual mobility will one day largely replace cars. We live at a time in which industry is being transformed. New events and developments are arising with breathtaking power and dynamism. Our societies, policies, economies, and even our very world are changing at the speed of light. The next decade will bring more change to the automotive world than the past century. For Porsche, that means we’re growing in areas that could not have been envisioned just a few years ago. The digital transformation is determining how we think. Young people with new ideas and outlooks are changing our mindsets. What do our customers expect from cars and from mobility in general, both now and in the future? Answering these questions requires rethinking our entire approach. It may not be necessary to reinvent the wheel, but just about everything else. When you make changes you need the courage to try out new things and take liberties. You have to alter your perspectives. You need to have open structures, free minds, and maverick thinkers. Creativity has always required a certain degree of freedom “from the rules” and fewer bureaucratic constraints. That enables us to be quicker, more focused, more flexible, and above all, more streamlined. Something else that’s important for a company like Porsche is to always think from the standpoint of the customer. We need to understand our customers as much as possible. There will be just one standard for all the cars and all the services of the future—and that’s the customer. But where is all of this leading us? What exactly is our destination? Given the speed and unpredictability of current developments, it seems nearly impossible to know what the future has in store. And yet we need to keep trying to part the clouds and look ahead. Because as leaders of a business, we have to make the right strategic decisions today in order to prepare ourselves as much as possible for what tomorrow and the day after will bring. Porsche needs to engage proactively in global competition for innovation. And that calls for courage above all else: courage to change, and courage to forge its own path into the future. For in extremely volatile times such as these, it’s important to show a clear and unmistakable profile. But how can a brand remain authentic and unique if it’s constantly having to adapt to an environment that’s undergoing rapid change? How is renewal possible without losing one’s identity? This brings to mind the “Meisterkreis”—an association of individuals, companies, and institutions working together to promote a culture of excellence in Germany. Some time ago, it published a book with an interesting piece about Porsche that discusses a thought experiment known as the Theseus paradox. Theseus is a figure in Greek mythology who brings his ship to harbor at regular intervals for repairs. Each time, some of the planks need to be replaced—until at some point the ship no longer has any of its original parts. The owner of the harbor then assembles a completely new vessel from the parts that were replaced. Now there are two nearly identical ships that differ only in the age of their parts. Philosophers have long pondered the interesting question that arises: which ship is now the real one? The “old” one, all of whose parts are new? Or the “new” one, all of whose parts are old? There’s no clear answer—otherwise, this thought experiment wouldn’t be a paradox. The parable of the ship of Theseus affords two insights. First, renewal is possible without a loss of identity. And second, the whole is greater than the sum of its parts. There’s an essential core that remains intact, even if everything around it is radically new. 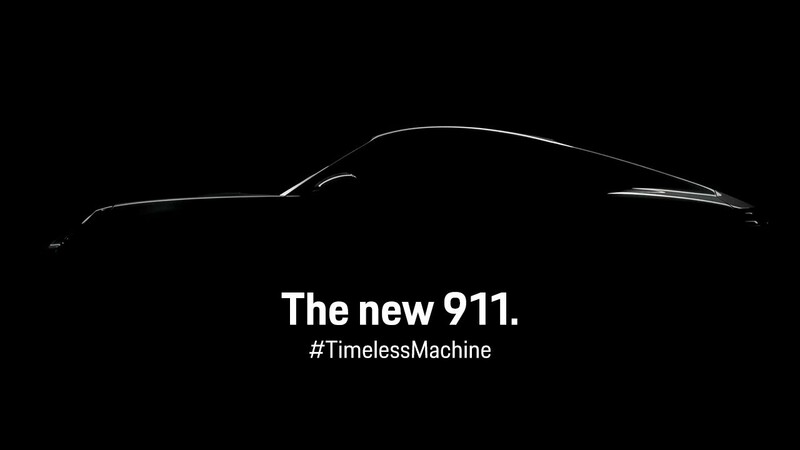 If we apply this to Porsche, the question is then: what exactly is the real 911? The original 911 of 1963? The one-millionth 911 that rolled from the Zuffenhausen production line in mid-2017? Or the latest 911 that celebrated its world premiere just a few days ago in Los Angeles? We have, of course, continuously updated the 911 over the years and equipped it with innovative new technologies. Not one component of today’s 911 is identical to its predecessor from the 1960s. But the essential core of our iconic sports car has remained the same for more than fifty years. For it’s not the technical details that constitute the identity of the 911—just like it’s not the individual planks that determine the identity of the ship. The key is to retain an authentic essence. And I know of no other car that, despite all the changes in technology and design, has remained as constant as the 911. The same is true for our brand and our company. Change is occurring rapidly all around us. Our customers are shifting their expectations of our sports cars and of mobility in general. We obviously need to anticipate these developments and incorporate them into new, future-oriented products and services. But does that mean we stop being ourselves as Porsche? No, because the essence of our brand has made us what we are today and what we will be in the future. Our uncompromising and clearly recognizable identity will persist even if everything around us changes. Success in innovation means continually questioning everything without losing proven structures, basic properties, and identity. If there’s anything that we at Porsche are especially good at, it’s that. Whether with electric or conventional drive systems, whether offering pure driving pleasure on racecourses or autonomous, connected locomotion in cities, whether as a sports-car maker or a provider of innovative services—Porsche will always remain Porsche. Dr. Wolfgang Porsche is the face of the brand and its most important ambassador. After the death of his father, Ferry, in 1998, he was chosen by the Porsche family to be its spokesman. As Chairman of the Supervisory Board he watches over Porsche AG and the entire Porsche Group.